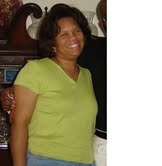 There is so much I could say about how I have benefited from colonics since going to Dr. Locke?s (I call her Ms. Letna). Needless to say I'm a few pounds lighter :-). The visits were weekly at first, but now I go once or twice a month for maintenance. Here?s my story: I had a history of poor digestion that has lead to other issues in my health. After visiting my holistic doctor, she realized that I was extremely toxic. The PH balance in my body was low and ripe for the development of disease. She asked me when was the last time I had a colonic performed and I told her about eight years ago. She immediately suggested that I visit Ms. Letna to do a series of colonics: four colonics in four weeks; one ever other week for four sessions; one every three weeks for four sessions; and lastly, on a monthly basis for maintenance. The colonics I received from Ms. Letna worked wonders for me. Over the course of the few months, I had them all done and I lost about 10 pounds.